At Kang & Co Solicitors we offer our clients the chance to take up a payment plan to pay the legal fees associated with litigation or legal advice. Our experienced lawyers are either instructed on an hourly rate of £250+VAT+disbursments, or alternatively on an agreed fee (Fixed Fee), which is paid up front at each stage of the case. Some of our clients (individuals or businesses) may desperately require our legal services however, may find it difficult to pay our agreed fee in an upfront lump sum payment, if you find yourself in this situation, please contact one of our lawyers and they will explain the alternative payment options available. The payment plans available at Kang & Co Solicitor can be used in all types of legal cases – contentious or non-contentious. 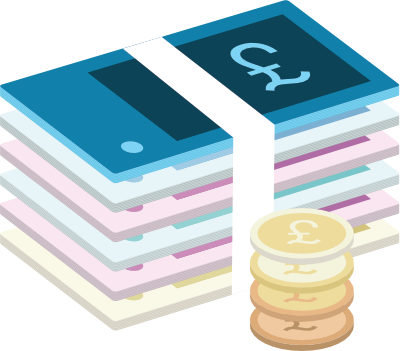 Our payment plans make financial sense whether you need to spread your legal costs or whether you simply prefer to pay our legal fees by instalments. With a payment plan you don’t have to pay our legal fees in advance from your own pocket, borrow from a friend, or delay accessing the support you or your business requires until you have saved or raised enough capital to get your case started. Our payment plans are ideal for cases that are likely to progress to a contested hearing (trial) and where legal fees are expected to be between £4,000 – £25,000 once a payment plan is in place, our lawyers can begin working on your case. Our legal fees payment plan is most suited to individuals or businesses that are concerned about availability of funds to pursue their legal matter. If you have limited financial means to run your legal case, or run it all the way through to completion, then this option may be right for you. If you would like to apply for a legal costs payment plan, the lawyer dealing with your case will put you in contact with a finance company that specialises in providing litigation funding. The finance company will then run a credit an affordability check to ensure you are able to comply with the terms of the repayment. Once you have successfully passed the initial stage, a credit application will be drafted, and the funds will be released to us, so we can begin working on your case. The credit agreement is between the finance company and the client, all re-payments are made to the finance company. If you have Legal Expenses Insurance (LEI) either as part of your home insurance policy, business insurance policy or home insurance policy your insurance company should be able to cover our legal costs. If you would like to discuss this in more detail, please contact one of our lawyers and explain that may have legal expenses insurance cover. We are regularly instructed by businesses and individuals in and around the West Midlands however, we accept instructions from clients throughout England and Wales. Contact one of our Solicitor or Barrister today to discuss how you can spread your legal fees over a manageable period. Payment plans are available for all services offered at Kang & Co Solicitors.